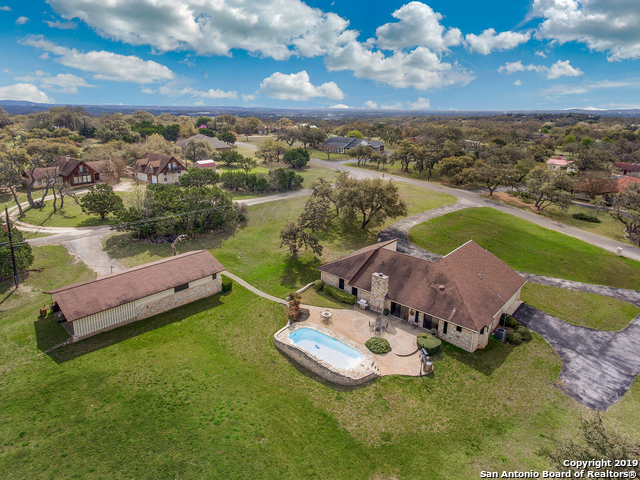 All Elm Springs homes currently listed for sale in Boerne as of 04/26/2019 are shown below. You can change the search criteria at any time by pressing the 'Change Search' button below. "**OPEN HOUSE-SUNDAY-3/24 FROM 9AM TO 2PM** Want that country feeling? This 2264sqft 3/2.5/2 on 2.84 acres. Minutes from downtown Boerne. All wood flrs in BR's and FR. Tile Countertops and backsplash. Central vacuum system and water softener. MBR has outside access. In-ground pool. 25x20 Workshop w/half bath & features 20x25 covered carport on side. Has its own driveway. CF's in all rooms. Sprinkler system. Stone FP. FR TV Conveys. Home has had only one owner."